We color calibrate our printers on a regular basis to ensure the most color accurate prints. The canvas is pH neutral and acid free and will not yellow over time. If you aren’t familiar with Photoshop or want to skip this step, no problem! Just simply upload your image when ordering and we’ll take care of the rest! This is the classical canvas effect where the main image continues over the sides of the canvas. 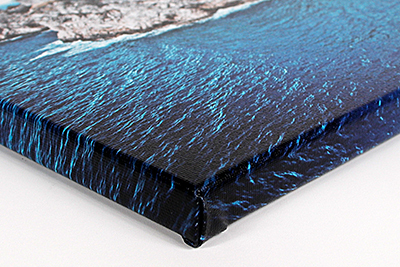 This effect is more pronounced for the gallery wrap stretching option (1.5" thick). The edges of the image gets reflected or ‘mirrored’ over the sides of the canvas. This effect is recommended if there are details in the image near the edges and you don’t want them stretched over the sides of the canvas. The edges of the canvas are a solid color. Black and white are the most common colors, but you can also choose any color of your liking. This effect is also good for images with details near the edges. Commonly referred to as a Gallery Wrap, we recommend this option if you will be hanging the canvas on your wall without framing. The thick profile of the 1.5” canvas provides stands out against the wall and serves as great decoration to any home or office. 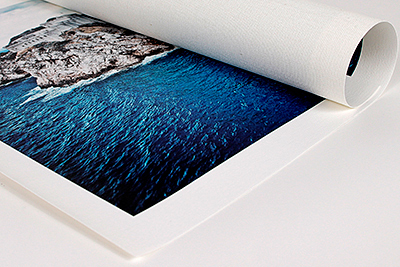 If you are planning to frame your canvas, we recommend you select the "thin stretched" option. 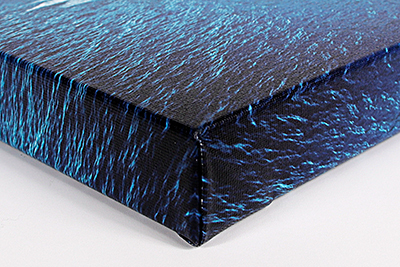 The 0.75" thick stretched canvas will fit into frame shells. The thin wrapped canvas is also suitable for directly mounting onto walls, but will not have as large of a visible side profile as the 1.5” thick canvas. The rolled canvas comes without stretcher bars. 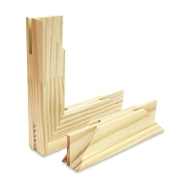 We suggest this option only if you already have wooden stretcher bars and are familiar with how to stretch canvas.